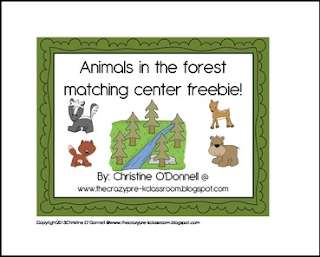 Here is a sample of the matching center included in my new Where do animals live? Habitat Unit (11 habitats and their animals) which can be found in my store. Each habitat is also listed separately in case you don't need all 11. Please take a minute to follow me here on TpT and my blog. Your feedback is always appreciated.